All RWs of Cipete Utara Urban Village, Kebayoran Baru Sub-district has 21 waste banks and two recycle stores.
" 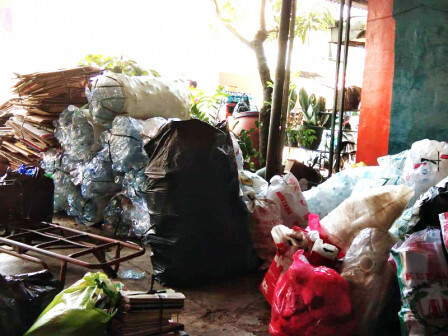 21 waste banks and two recycle stores are located in 11 RWs and 103 RTs"
Cipete Utara Urban Village Head, Mohammad Yohan said, Cipete Utara is occupied by 39,525 residents. 27,668 residents of that total amount are living in Cipete Utara. They produce waste around 0.5 kilogram per day or 514,000 kilograms waste per month. "21 waste banks and two recycle stores are located in 11 RWs and 103 RTs," he mentioned, Wednesday (9/12). He explained, 21 waste banks collect 10,000 kilograms of sorted waste every month. Later, those waste will be sold to garbage collectors near the location. "Thus our environment become cleaner," he conveyed.